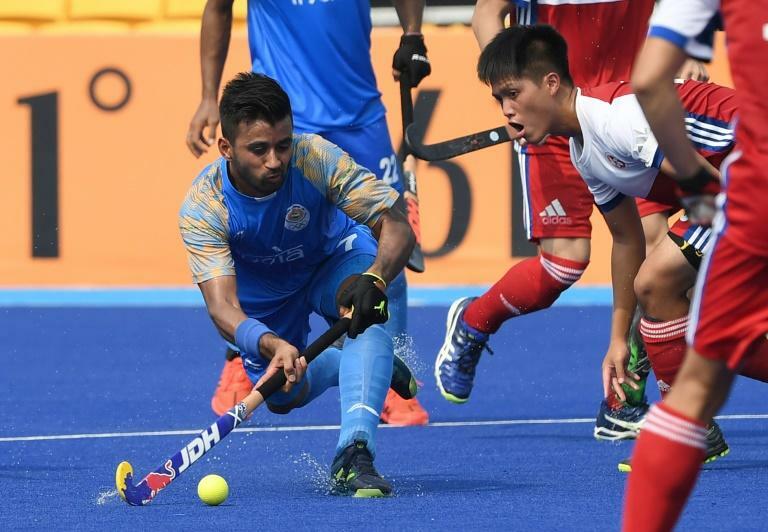 India's men's hockey team romped to their biggest ever tournament win at the Asian Games on Wednesday with a 26-0 thrashing of hapless Hong Kong -- who didn't have a single shot on target. India scored nearly a goal every two minutes as they broke an 86-year-old record, surpassing their 24-1 victory over the United States at the 1932 Olympics. The eight-time Olympic champions' dominance was such that with seven minutes to go, they took off their goalkeeper Krishnan Bahadur Pathak as the entire team laid seige to the Hong Kong goal. India had already overtaken their previous Asian Games record -- Monday's 17-0 hammering of hosts Indonesia -- by the end of the third quarter, when they led 18-0. But the defending champions refused to show any mercy, scoring another eight goals in the final period.